When I was young, about 7 years old, my old neighbor used to run import business for bath & body products from London called Yardley. Their house is like a typical London boutique look. And their daughter Shirlyn, was my playmate. I think Shirlyn reads this blog too. Hi old friend! And our favorite game was masak-masak. We used to pick different plants for "cooking" and I particularly love this plant that has chili shape fruit. When I chop the plant with my plastic knife, there's a burst of citrus smell that lingers around. I almost forgot how lovely the smell was until I took a sniff of the Jo Malone's Blackberry & Bay cologne. I think I've mentioned about it when I introduced to you guys the Jo Malone's boutique in Pavilion last month. The interior of the boutique reminded me of Shirlyn's old home. Plus the smell of Blackberry & Bay.... My childhood memories came back to me at once. It's all coming back... It's all coming back to me now... (humming Celine Dion's song). There's a special something of this cologne that's so personal to me. I have to get it! The Blackberry & Bay cologne is Jo Malone's 2012 scent. Although it is their best seller for the year, there are many people who dislike this fragrance for reasons I'm not sure why. The top notes includes grapefruit (where the citrus smell comes from), blackberry (as the name suggested). Then the middle notes will reveal bay leaves and floral accord. Lastly, the base notes are vetiver and cedar. The scent opens with a pungent citrus smell. It slowly dies off in awhile, leaving the fresh scent of bay leaves. The bay is quite strong, may be overpowering the blackberry. You can hardly smell the sweet blackberry until a few hours later. It feels like the notes kinda overturned. I think the middle note should be the blackberry and the top note is suppose to be the bay. This fragrance also reminds me of fresh smell of grass after a good pour in Spring. Although this is just a cologne, the smell is quite long lasting. It lasted about 8-10 hours, which is very rare for cologne. I love how it leaves soft sillage but enough to make a statement. Call me crazy, I actually wearing this to bed. Because the smell relates my very personal memories, I would want to keep it to my own personal time. It comes in two sizes, 30 ml and 100ml. The one that I got is 30ml. I thought I should buy a small bottle since I already have so many perfumes, I was wrong. I should have gotten the 100ml because I'm sure I will be using this a lot. Maybe next time. 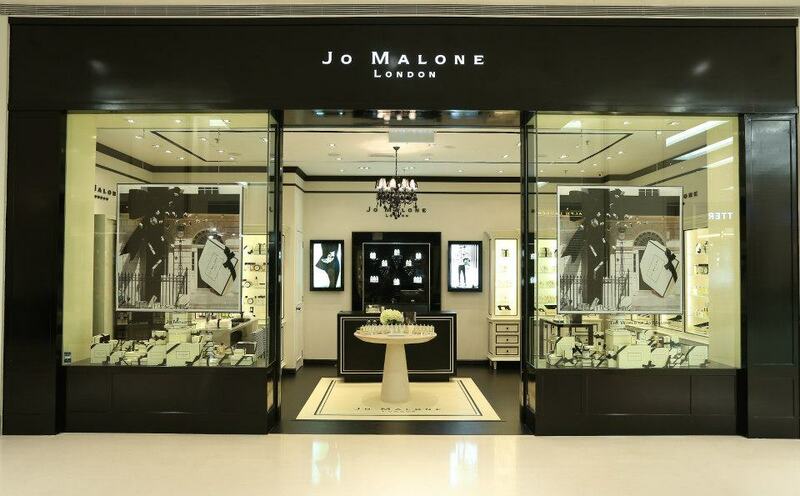 Have you visited Jo Malone at Pavilion yet? If you haven't, go and try out their fragrance. They have so many exquisite scent for you to choose from. Go and have a sniff, maybe you'll fall in love. The staff there are the nicest person in the history of customer service. They don't mind you trying their products even though you don't intend to buy. Yeah, I'm speaking from experience. The first time I visited them I didn't have the intention to buy anything. And if you want something really special, you can create your own fragrance at Jo Malone. Unfortunately this service is not available in Malaysia. The nearest place to do so is at Jo Malone Singapore. I'm looking forward for this! P/S: I went to Jo Malone's website after I finished writing this, and guess what I found!!! The description they gave on Blackberry & Bay is kinda similar as mine! They call it the "scent of innocence". It is indeed a fragrance that will evoke your childhood memories. How coincident (and creepy)!!! I like that too. 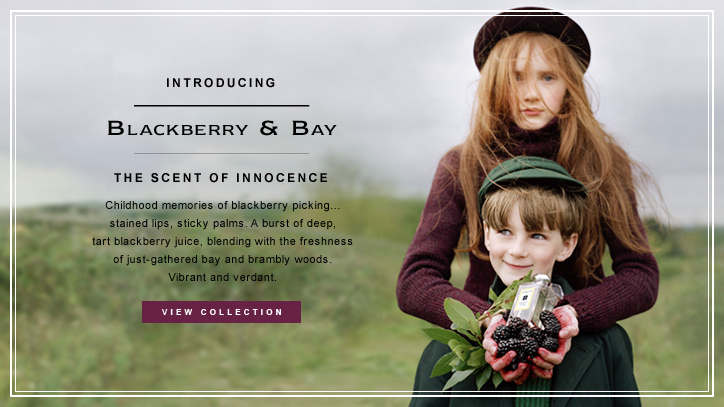 Just that I prefer the Blackberry & Bay by itself even more.